Until this day I was in love with audible.de. I subscribed in March and listened to 13 books within the last 8 months. Today was the first time that I came upon a very annoying damper in quality. I am about to finish listening to “City of Bones” by Cassandra Clare. I like listening to book series because I feel like a single book finishes too fast when you listen to it. City of Bones is the first book out of six, with a story that I am not overly excited but somehow curious about. And six books are going to keep me occupied for a while. Since I have only an hour of my book left, I figured I should download the sequel “City of Ashes”. This is where the disappointment started. City of Ashes is not available in English on audible.de. Every other of the six “City of …”-books are available in English but not this one. Why? This I asked the customer service. They told me it is because they didn’t get the rights on it. What? How is that possible? How can a company like Audible – run by Amazon btw. – not be able to provide the same content of audiobooks to every country their service is available in? How can a writer exclude one of his books to one single country? I would understand if he didn’t want his book to be composed (right word?) in German for whatever reason. Fine. But if he agreed for his book to be available on audible.com in English, why should the same book – ONE book out of a whole series - not be available in the same language in another country? Anyway, I gave in and I looked City of Ashes up on audible.de again to find the German version. And yes this post would be completely unnecessary if the second problem didn’t occur. WHY ON EARTH is City of Ashes red in German abridged? WHY did someone feel the need to shorten the book of five and a half hours? That is almost half the book!!! You cannot do that to me! Yes I know I could subscribe to audible.com as well, but I refuse to pay Amazon twice. I heard from Jenn Im that it is great. 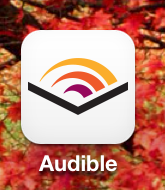 Audible is great. This was the first time that I found something that I didn't like. And unfortunately it was something that really upset me. The woman who reads the book in German usually reads children's books and just sounds wrong talking about blood and vampires in a bedtime story voice.